I was browsing through the tourist brochures while recently on the lounge deck of the MS Chi Cheemaun ferry to Manitoulin Island. “The Art Map: Year Round Trail Guide to Galleries, Art Studios and Events” popped out at me. I’m the type of person who is willing to step out of my comfort zone if I sense that I might find some deep connection. This is my definition of adventure. 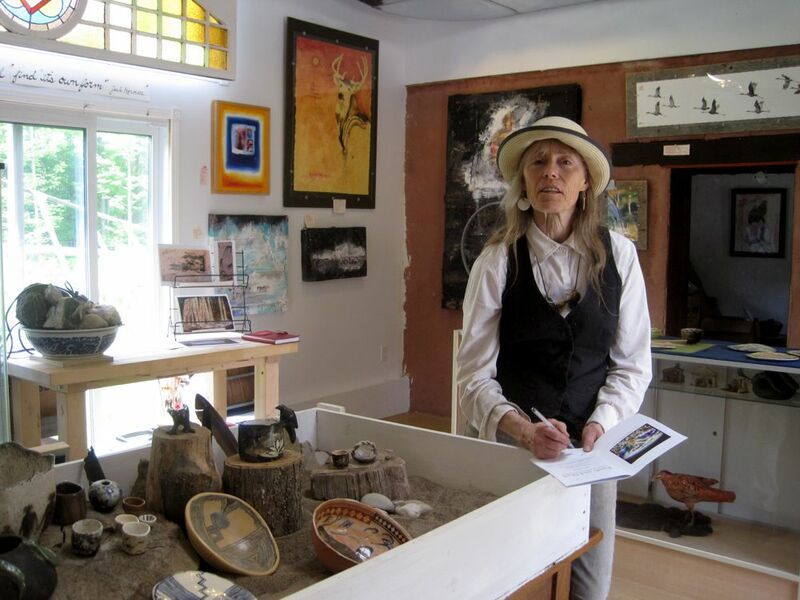 Ann Beam is a painter, multi-media artist, sculptor, ceramicist, author and wonderful human being. What a joy to be exposed to her world, if even for such a brief time. Being welcomed into her studio is like walking into her brain. Works in progress, finished pieces, shadowboxes from long ago, cards, books, pieces of her husband’s pottery, her daughter’s art. It felt like I was experiencing a remnant from another decade. But her art is far from an environmentalist flower child’s meanderings. We were quickly immersed in her vortex of creativity. 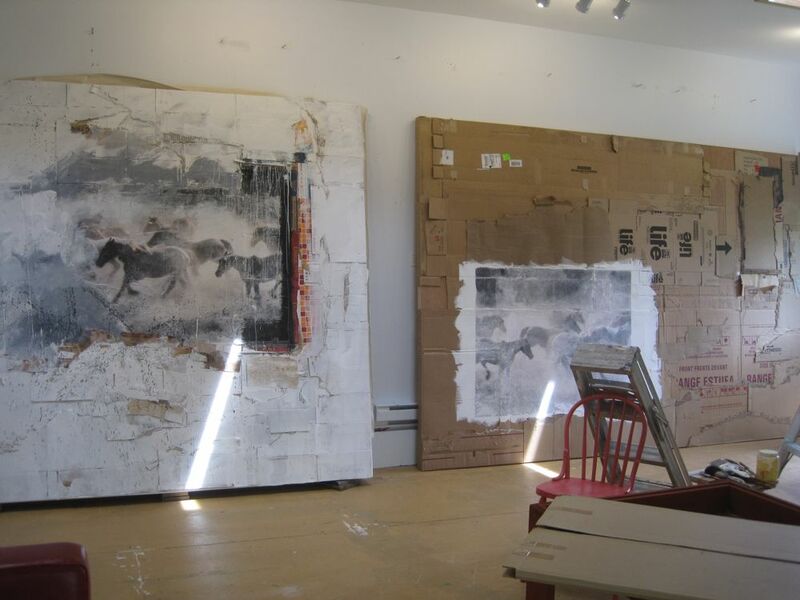 Currently she is working on large mixed media paintings in corrugated cardboard, found pieces (AKA trash) and photo transfers with acrylic for an upcoming show. 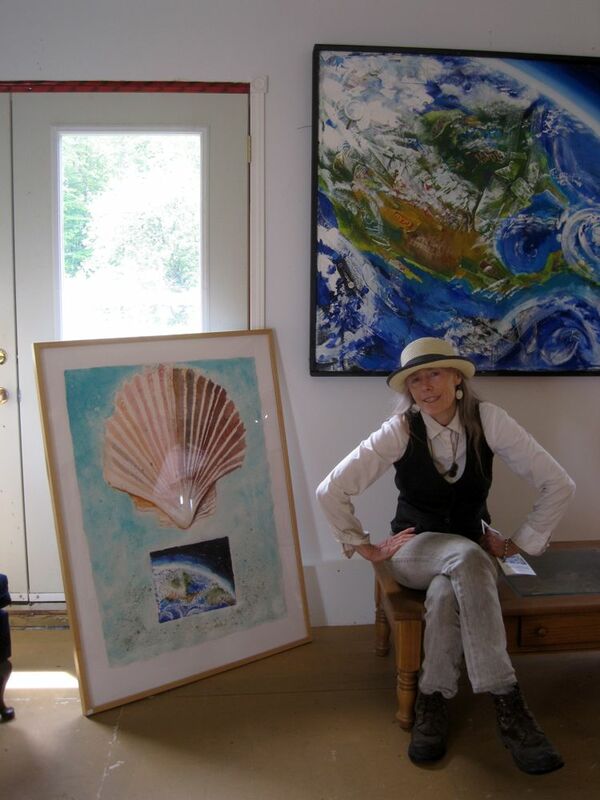 In a number of her paintings she has employed the atmospheric edge of our blue planet. 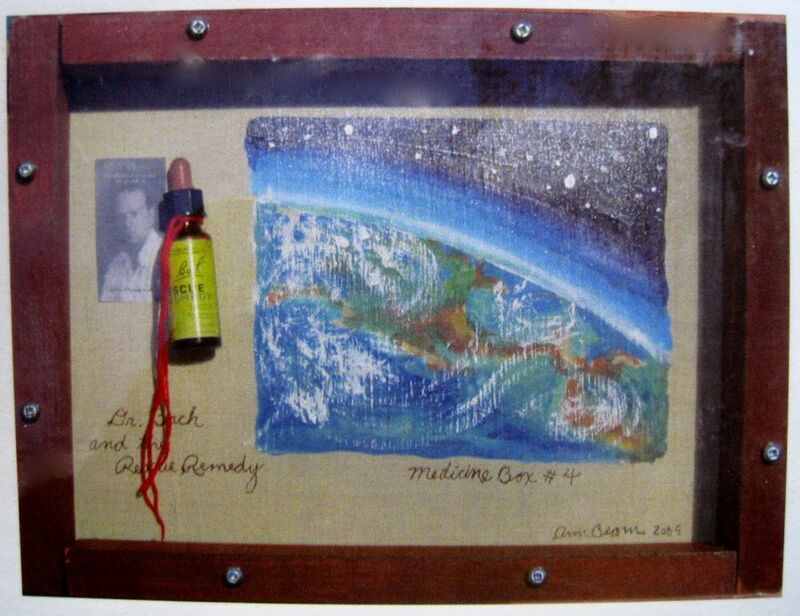 Chris Hadfield would like these paintings, I thought. 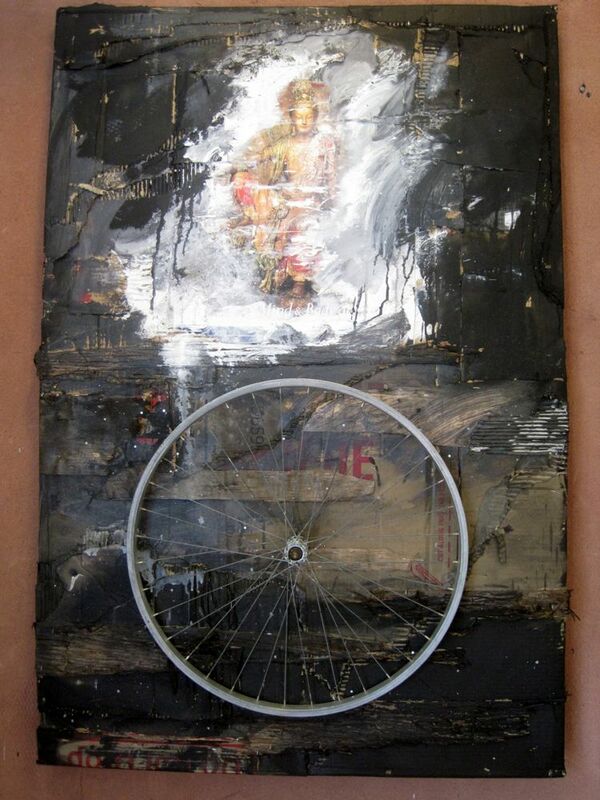 Her explanation of this painting/collage “Wheel” was that she saw a nine pointed star in the bicycle wheel. The Buddha (it could have been any deity, but that’s the one she chose, even though she’s not a Buddhist she said) is showing us how to sit in a relaxed way, showing us that we all can relax. 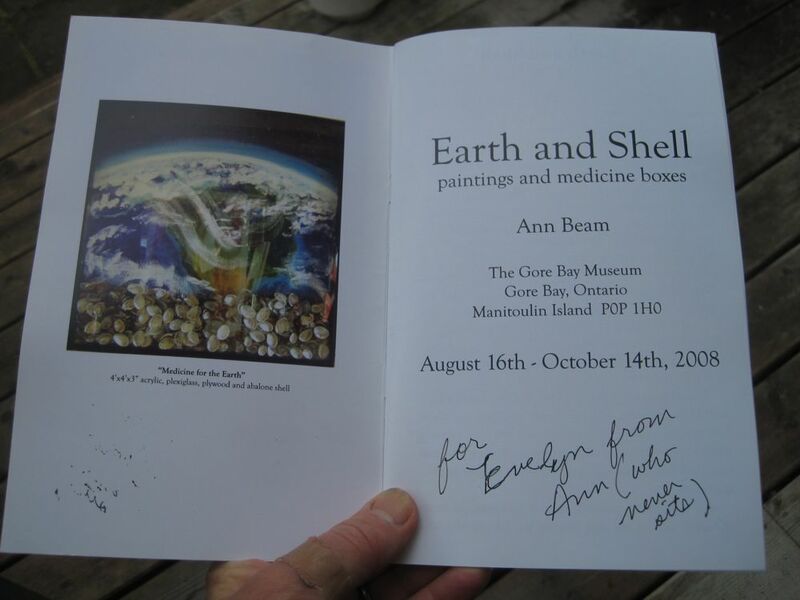 Days later I got around to reading the little book I purchased from her, the catalog of her 2008 Earth and Shell exhibit. As I read it I thought, “what can I find online about her?” Turns out she and her husband, Carl Beam, were an incredibly influential couple in the Canadian art scene. As I read their CVs I was humbled to think that I had ‘accidentally’ run across such artistic wisdom. That I had briefly wet my feet in the brook of the ancients. Turns out we actually did that, because it was because of Ann we found our way to Bridal Veil Falls and hiked for the afternoon. I regret not having known who Ann was before I drove up her driveway. It felt like I was with an endangered species, a full time artist. Well into her second half of life she was still busy rendering myth to the uninitiated masses, even with the physical absence of her husband/artist/lover who died in 2005. I felt a tinge of sadness for her. The body of work they built together is a national treasure and should be a historical landmark. It was no coincidence that I happened upon the brochure on the ferry. It was the only one in which Ann had decided to advertise this season. I only wish I had taken the time to sit with “Ann who never sits’. As an aural shaman and artist there is so much I would have liked to soak in. I could have sat at her feet for days. 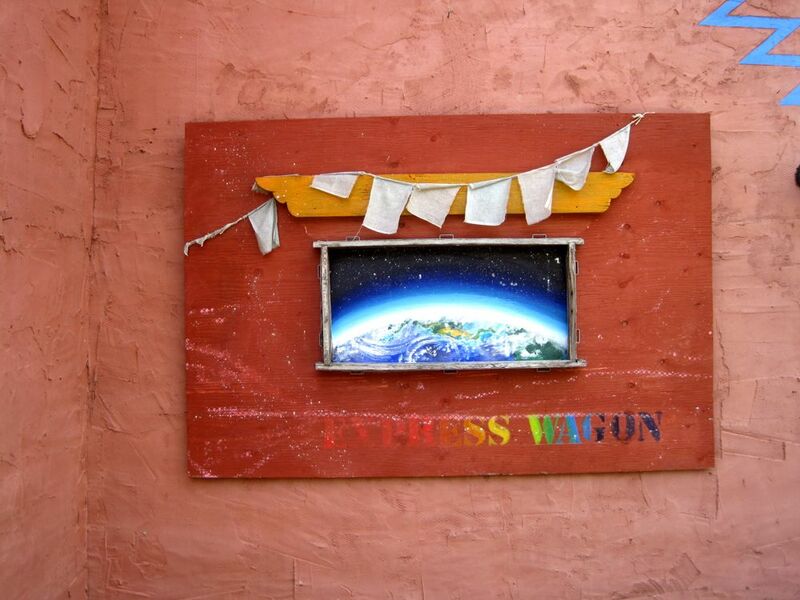 This entry was posted in News and tagged art, women on June 14, 2013 by nurturingspace.